Amruta Varshini started Grey Matters just three months ago and we’re not surprised it’s taking off pretty well. The concept is home decor products which can be multi-purpose, minimalistic, and quirky. All products are cement-based and mainly serve as planters and holders but can also be used as bowls, pen stands, etc. These products serve more than one purpose, so if you’re getting a pretty bowl for your dining table, say hello to the pen stand and planter that comes along with it. If you’re looking for risqué and off-beat home decor, check out the centerpieces which range anywhere from tiny ones to 6 inches. They come in a variety of shapes and sizes - square, circle, even a hexagon if you want one! Grey Matters brings out the beauty in minimalist home decor, we love the rustic shades of grey coupled with smokey painted colours. 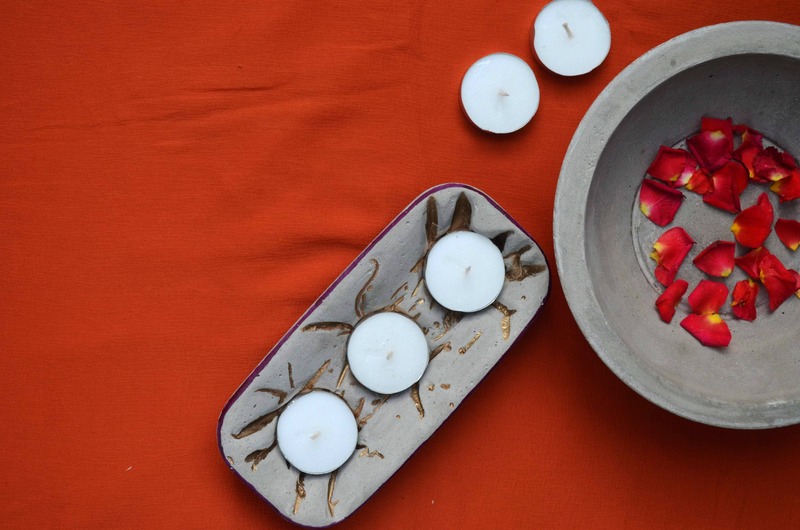 The process of making an item takes at least one week - first Amruta buys the cement, sets them in a mould, and after drying them for a few days she paints them with acrylic or resin colours. You can buy planters, key chains, bowls, pen stands, diyas, miniature stools, magnets, coasters, and ‘deconstructed plates’ starting at just INR 30. She customises these too, so paint your dreams on the grey canvas.